Are YOU ready for a career change? It couldn’t be easier to start your own business as one of our MexZotic Merchants, Party Host, Retail Sales Agent or Importer. 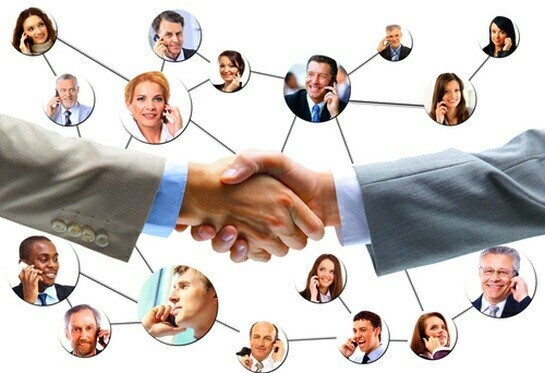 First thing is to select one of our Membership Sales Channels that suits your available time and desired income. Choose from any of our MexZotic Merchant Sales Channel positions such as Jewelry Party Host, Online Reseller/Distributor or Retail Sales Partner. Or Apply to be one of our Retail Sales Agents or Retail Importers if you have more time and desire a larger income or even full time career. Once you have your Member ID, Replicated or Customized web site, you can start your business immediately by arranging your first Jewelry Party and/or ordering on-line. Kick-Start your business and earn immediate Cash & Commission Rewards simply by inviting a few family and friends over for a Jewelry Party. Share the wealth and schedule additional Jewelry Parties where your friends, family, neighbors, and co-workers can enjoy the Rewards for Hosting a Party. If you are lucky to be selected as one of our Retail Sales Agents you can offer incentives to your Party Hosts, get paid cash up to $100 for each Jewelry Party and enjoy ongoing sales commission up to 25% from all future orders. As a Retail Sales Agent you can also appoint Retail Shops into your Merchant Network and earn immediate income from Product Sales PLUS Free Jewelry credits and other benefits. As a Retail Importer you can start buying and reselling Jewelry instantly to get your business underway AND/OR have a team of Retail Sales Agents AND/OR Merchants under your supervision. Use all the training we offer from virtual sales lessons, Sponsor mentoring, teleconferencing, 24/7 online question & answer support and printed reference materials. Can I sell anything from the website? Yes, we have 4 Mexican Solid Sterling Silver 0.925 Collections to choose from although in most cases there is a minimum order value. This entire range has over 6500 exclusive and affordable jewelry items all hand crafted in Taxco, Mexico. What is the Fashion Collection? We also have our new Fashion Collection which is manufactured in Mexico, Turkey and Bali to the same high standards as our Solid Silver series. The pieces are made from silver/plated silver/vintage silver/silver & pewter etc and gemstones, freshwater pearls, turquoise & coral etc. The Fashion Collection is designed specifically for the Home Jewelry Party. Holding a MexZotic The Party Host will receive a Free Gift up to $100 value, generous credits, discounts and other Rewards for hosting the Party. Guests will each receive a free gift and have access to buying great jewelry at very attractive prices. The Retail Sales Agent is also paid cash up to $100 and earns commission from all sales at the Party plus up to 25% commission on all ongoing future orders. A Party Host also has the option to upgrade to Sales Agent or Sales Partner and receive huge discounts buying at wholesale level. This allows you to operate your home business at maximum profit selling to family friends and co-workers. What sets MexZotic apart from other direct selling companies is that our host or hostess gifts and literature are supplied free of charge, so that the money you earn from each Host Party Event is yours to keep. For a copy of our Members Benefit Plan click here. For a copy of our Host Benefit Plan click here. What kind of hours do I need to work the business? What is MY cost to get started? Merchant Channel – There is no upfront or ongoing cost to become a MexZotic Merchant. As a Jewelry Party Host we will reward you with a FREE Gift up to $100 value and provide all the Jewelry samples for order/sale at the Party. As an Online Reseller/Distributor contact us about our FREE membership plan. For Retail Sales Partners we have introductory special priced Jewelry Packs that will assist to finance and cash-flow your future Jewelry business. Wholesale Channel – Retail Sales Agents are appointed by MexZotic and/or Retail Importer and this position can be a full or part time Independent Contractor role. MexZotic will supply all the necessary sample jewelry and training at no upfront or ongoing cost. How do I learn what to do in the beginning? We have many tools available to you! We offer Member sales training assistance, a comprehensive training session, teleconference calls, online tools (Skype & Teamviewer) and one-on-one training. Seminars will also provide you with great new tips and techniques from professional speakers, trainers, and from other experienced consultants. What assistance do I get for Host Party Events? First of all, we will supply a MexZotic Retail Sales Agent for you, who will display/promote the jewelry and answer any questions. We will also reward you for having the Jewelry Party with a combination of a FREE GIFT up to $100 value, Commission Credit and other Bonuses. Guests at your Jewelry Party Events will receive instant gratification with FREE gifts and receive many of their products at the Home Party / Office Event / Corporate Event from available inventory without having to back order. Additional items however can be ordered and delivered directly to the Host (or direct to the Customer). MexZotic will offer financial assistance and support to all Members for Host Party Events by providing the Free Gifts, subsidized Host Rewards and Bonus Rewards. Contact MexZotic and we will arrange your FREE Jewelry Party for you. Our Retail Sales Agent will supply the necessary Jewelry and also display/promote the jewelry for your Guests. Don’t forget that you get FREE GIFTS, Credits & Commission just for having the Jewelry Party! !